Brushed on both sides, this extra deep solid flannel sheet set will bring sophisticated look in any bedroom. Crafted of 200-gram triple-brushed cotton for the softest finish and feel. 24" deep pocket sheet to fit comfortably on extra deep and pillowtop mattresses. Available in Twin, Twin XL, Full, Queen, King and Cal. King sizes. 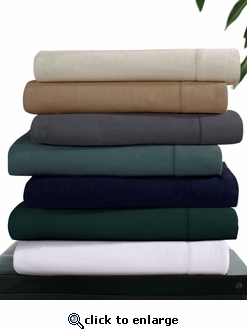 Twin and Twin XL sheet sets include fitted sheet, flat sheet and one standard pillowcase. Full and Queen sheet set includes fitted sheet, flat sheet and two standard pillowcases. King and California King sheet sets include fitted sheet, flat sheet and two king-size pillowcases. Machine washable. 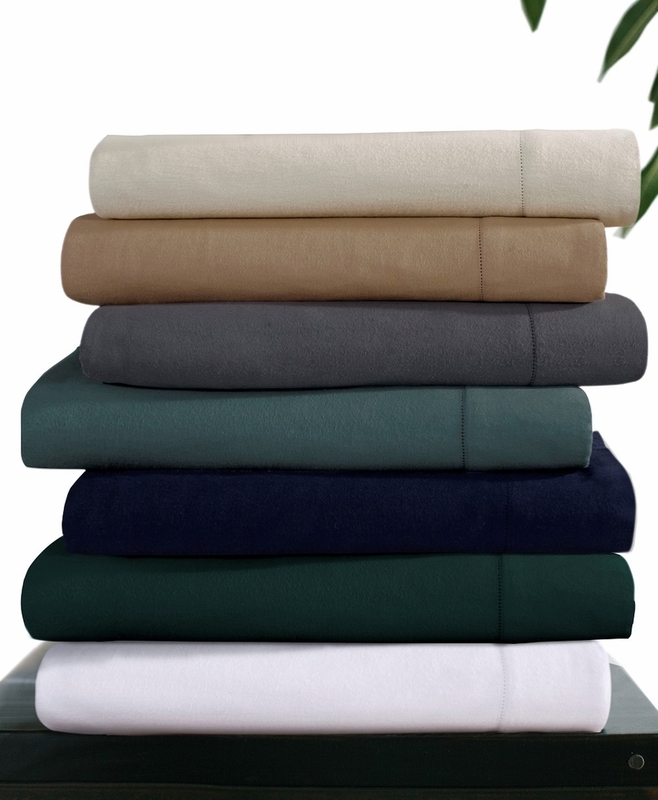 > Solid Extra Deep Pocket flannel Sheet Set. > 200 gram weight for incredibly warm comfort on the coldest nights. > Flat sheets and pillowcases feature hemstitch detail. > Fitted sheets feature all-around elastic and are deep pocket to fit mattresses up to 24 inch deep. > Available in Twin, Twin XL, Full, Queen, King and Cal. King size options. > Color options: Cappuccino, Midnight Blue, Teal, Grey, Linen, White. * Two kingpillowcases - 20" x 40"
* One oversized flat sheet - 94" x 106"
* Two standard pillowcases - 20" x 30"
* One oversized flat sheet - 84" x 96"
* Two king pillowcases - 20" x 40"
* One oversized flat sheet - 66" x 102"
* One standard pillowcase - 20" x 30"
* One oversized flat sheet - 66" x 94"